“I have everything under control,” Kara assured her. What happens when tragedy meets the power of the Eklektos? In case you missed the post from last night: I’m playing catch up until I get the website caught up with everything else. I realized today that I’ve, once again, fallen behind on website updates. I’m so sorry, guys. I am the epitome of a frazzled mother. 😂 I’m going to torture myself with an obscene amount of Post-It notes until I remember to keep everything updated, instead of just Facebook. (On a side note, if you haven’t friended me yet on Facebook, you should. I’m way more active on there. 😊) So, for the next few days, I’ll be playing catch-up with book teasers until the website is caught up with everything else. 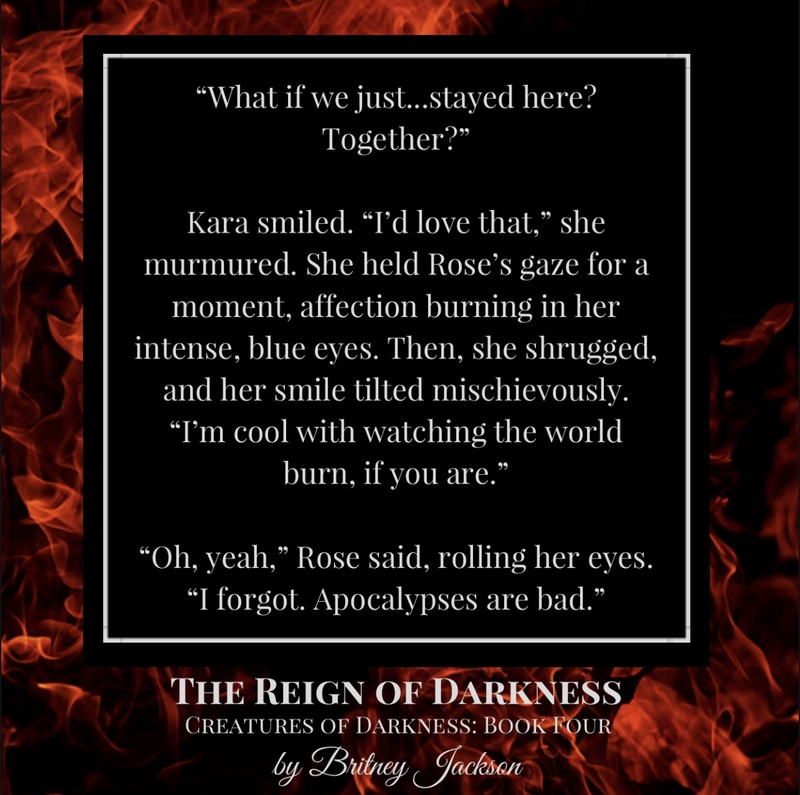 This particular book teaser is a bit different from the ones I usually post. Usually, I choose quotes that hint at the main plot or quotes that just make me smile. I post them because I’m excited about the book I’m writing, and I want to share my excitement. ❤️ This one was different. I made a book teaser with this quote because, as I read the news that night, as I listened to people spew unbelievable hate, as I wept and wondered how to respond to such hatred, this part of the book came to mind. 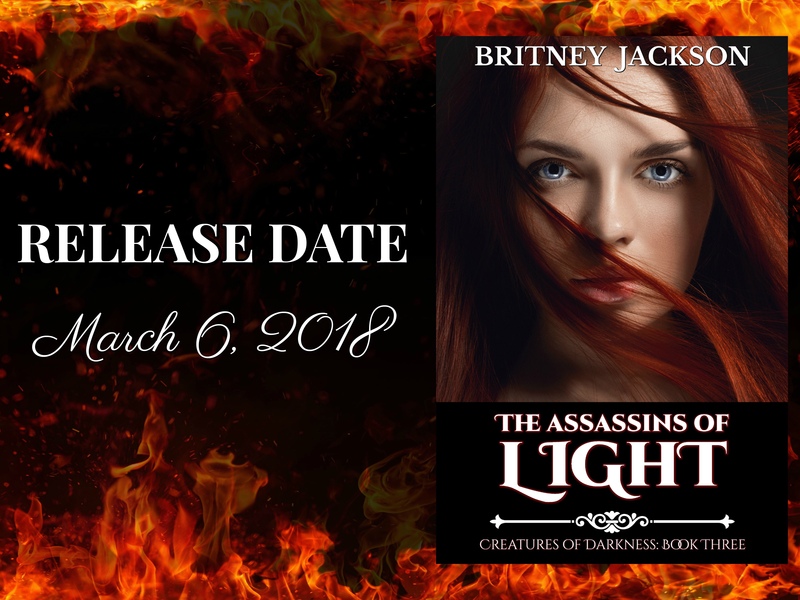 If you’ve read The Tomb of Blood, you probably already know that in this upcoming book, The Assassins of Light, Rose and her friends are facing down an extremist organization that’s founded upon hatred. This organization, known as the Assassins of Light, want to eradicate vampires from the planet, supposedly for the safety of humans. I live in Alabama, and I can tell you: most of the stereotypes are wrong. But…unfortunately…I have known my fair share of racists. But typically, racists don’t know they’re racist. They make these veiled remarks that they’ve convinced themselves are harmless. And…I know these people. I’m related to some of them. And I’ve always believed, deep down, that even they would condemn white supremacy, if faced with it outright. But then, they were faced with it, and they didn’t condemn it. They defended it. It was heartbreaking. The moment that really broke me, though, was when I heard someone I know defending the man who killed the protester in Charlottesville. Political differences are one thing, but defending a white supremacist and murderer? I usually keep my mouth shut when it comes to politics. I tell myself that it’s to protect relationships, but I think part of it is also to protect myself from the aggressive verbal attacks I’d face otherwise. (People really lose their cool over politics.) But that night, as I cried, and my heart pounded, and I wondered what the right thing to do might be, I thought of Rose. Because Rose, really, is a braver version of me. We share the same insecurities and fears. She just faces them with more courage than I do. And I thought: what would Rose do? And then, I remembered this scene from The Assassins of Light (the book I’m writing now). And I realized: Rose wouldn’t just cry over the heartbreaking state of the world. She wouldn’t just wish she could soothe the pain in the world. She’d do those things, yes, but not just those things. She would speak out. She would defend the oppressed. And I desperately want to be that brave. When you create a nightmare scenario for a dark fantasy novel, you never expect the real world to start mirroring it. But that’s exactly how it feels now. 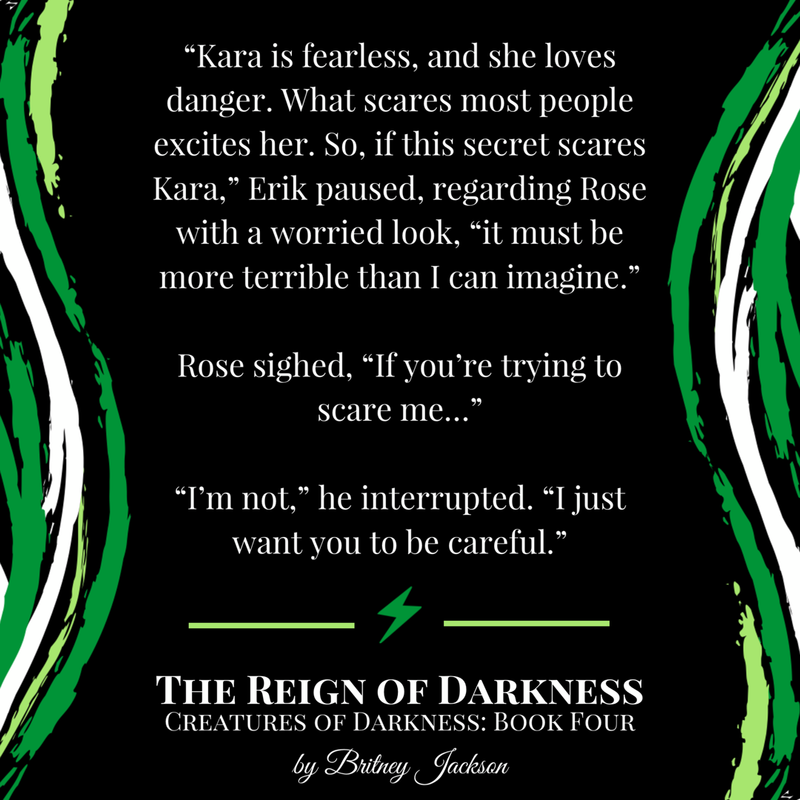 The quote above is something that Rose says in The Assassins of Light (Book Three of the Creatures of Darkness series), and it feels way too relevant right now.